Romitaman Original Comic Book Art :: Private Collection :: Spider-Man Marvel Stationary Artwork (1980s) SOLD SOLD SOLD! 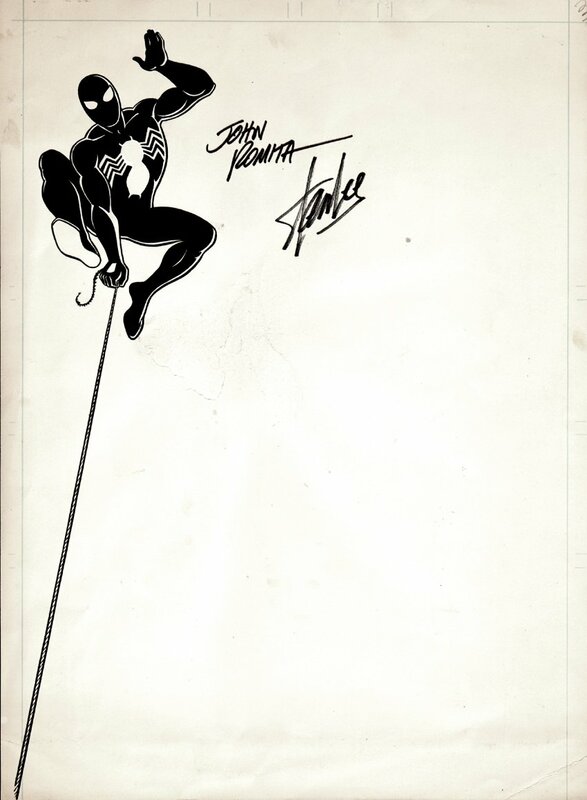 by artist John Romita Sr.
Click Here To See Artwork As It Was Presented On The Marvel Stationary! Check out this neat Spider-Man PUBLISHED pinup, which was penciled and inked entirely by the great JOHN ROMITA on art board back in the mid 1980's! This image was used on ALL Marvel Stationary in the mid 1980's! Art board measures 11 inches wide by 15 inches tall. The actual Spider-Man image is 6 inches tall with his webbing going the entire 14 inches to other end of board. This great piece is signed by STAN LEE as well as the great John Romita! The art board has a few creases around the edges, and there is a tape tag below the drawn art area that is not touching any artwork. The drawn artwork area is in great shape! Click the red link above to see how this piece looks upside down, which is how the stationary was actually presented for writing back in the 1980's! 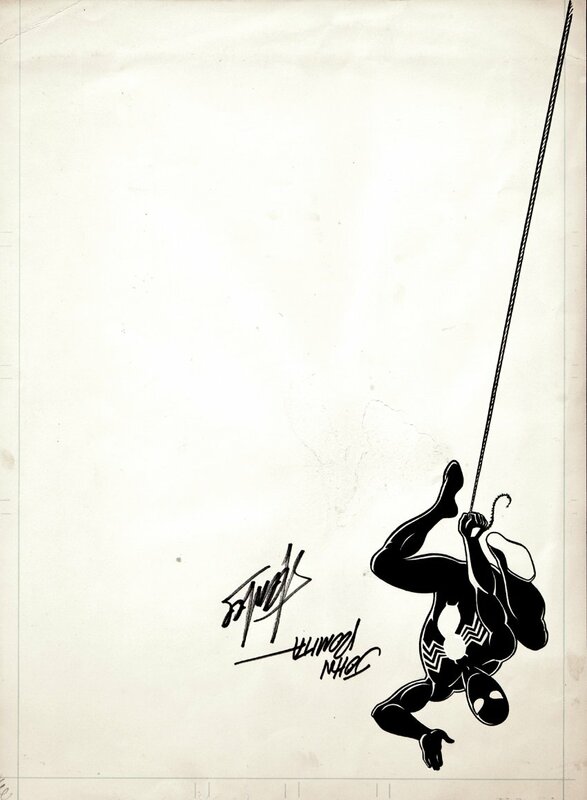 Don't miss out on this RARE BEAUTY if you can help it...Spidey will look great framed on your wall as he dangles from his web line and waves at you!